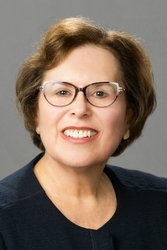 Gail D. Rothstein is counsel in the Princeton, NJ office of Hill Wallack LLP, where she is a member of the Community Associations and Construction Industry practice groups. Ms. Rothstein concentrates her practice in the areas of community associations law and construction litigation. She has substantial complex litigation and construction defect litigation experience. Ms. Rothstein earned her J.D. from St. John's University School of Law and her B.A. from The State University of New York at Albany. Ms. Rothstein is admitted to practice in the State of New Jersey (1987), the United States District Court for the District of New Jersey (1987), as well as New York State and Federal Courts.